Faze Actions own FAR label, apart from being the home to Faze Action, has also been an outlet for them to work under different aliases, on solo projects and release fresh, original sounding music, recorded by other artists.Here, for the first time, Faze Action have put together the highlights of the labels last 6 years, all in one place. 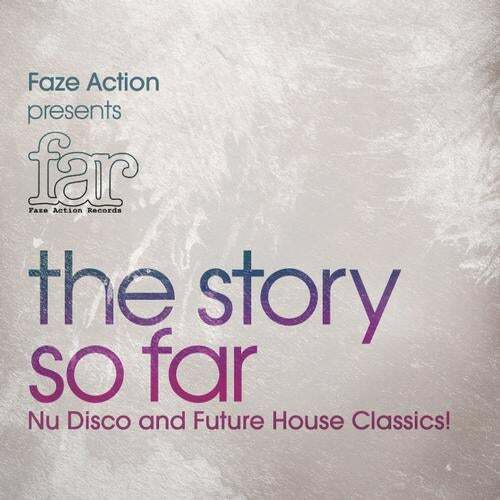 Joining the dots between indie, disco and house, FAR has seen some great moments. Included here, are the highlights of Faze Actions Stratus Energy album, featuring the classic Hypnotic and Good Lovin, Rudys Midnight Machines, early 90s house work out, Open To Your Love, a sensational remix from Jay Shepherd, from early in his career, and Pete Herberts monster re edit of Andromeda Orchestra. Available all in one place, as unmixed tracks and featuring a free bonus one hour dj mix when you buy the album. Cram, Gion, Harold Heath, Laid Off, Rishi K.